Find detailed information about ballroom dance classes in New York through a simple point and click, by browsing through Fun New York's guide to dance lessons in NY. Impress your spouse or loved one with your new-found footwork by signing up for any of these ballroom dancing lessons in NY. Affordable Ballroom Dance Lessons for All Abilities! Receive ballroom dance lessons of the highest quality within Manhattan's largest ballroom dance studio! Since 2009, the instructors have been offering affordable group dance classes for people of all abilities, from beginner to advanced. The instructors focus on every style of ballroom dance including international, American, rhythm, and Latin style. If you're looking to compete on a high level, the world championship coaches would be more than happy to provide you with additional training. The class schedule is very flexible, catering to the lives of busy New Yorkers. Manhattan Ballroom Dance is home to such world championship dancers as Katusha Demidova and Arunas Bizokas, both of whom have been featured in social dances and workshops. The studio is open 7 days a week, for your convenience. When You Learn from Someone Good, You Become Someone Good! A premiere Ballroom Dance studio in NY which offers all sorts of dancing lessons. It was formed by ex-champion dancers and choreographs from the show "So You Think you can Dance" Tony Meredith and Melanie LaPatin. They both represented the United States in many championships and this is an opportunity to learn from someone good. Their operation hours are: Monday - Friday from 12:00pm - 10pm and Saturdays from 11am - 6pm. Closed on Sundays. Up for Some Dancing Fun? Sandra Cameron Dance Center is a perfect location for both first-time and experienced dancers who are either looking to impress their friends or just have some fun while doing it. Sandra Cameron is a 3-time Ballroom Dance champion and her dance center is now 30 years in existence. Their hours are Monday to Friday from 10am to 10pm and Saturdays from 1pm to 6pm. They are closed at Sundays but hold many different events through-out the week. Ready to Go to a Dance Party and Show-off? Arthur Murray Dance Centers can surely answer this for you and, if the answer is no, they'll definitely be able to fix it. With four locations serving New York and some more outside, there is an absolute impossibility to miss this if you're searching for Ballroom Dance Lessons. If it's Swing, Salsa, Waltz, Tango or Foxtrot; this dance center will be able to help. Their operating hours are Monday to Friday from 1pm to 10pm and Saturdays from 11am to 4pm. Closed on Sundays. Ever been interested in showing-off at dance parties or just want to dance like a pro? Then try out Dance Manhattan in NY and start learning your new moves today! It is open Monday from 10am - 10:30pm; Tuesday, Thursday and Friday from 10am - 10pm; Wednesday from 10am - 11pm; Saturday from 10am - 5pm and Sunday from 10am - 4:30pm. 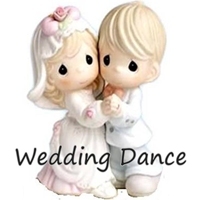 Learn Ballroom, Swing, Salsa, Argentine Tango and Wedding dance all at one place. Dance Manhattan also includes weekly dancing events on Wednesdays, Fridays and Sundays. Have you ever dreamed of dancing on DWTS? Or maybe just at your wedding or party to make others look impressed? Then Fred Astaire Dance Studios is the way to go! For almost 60 years, FADS has helped people in NY in achieving their dreams in one of their three locations citywide. Fred Astaire Dance Studios offer a wide array of Ballroom Dance Lessons to accommodate any request. Their hours of operation are Monday - Friday from 1:30pm to 10:30pm. They are closed during Saturdays and Sundays. A Dance Studio for all, Join Today! Looking for a bit of recreation, professional service or just fun? Stop by at You Should Be Dancing for ballroom dancing lessons in NY. Located in Manhattan just by Madison Square Garden, YSBD offers Ballroom, Salsa, Tango, Swing and Belly Dancing. They schedule events every week for all dance types, and a special Tango event every Wednesday from 10:15pm to 1:00am. Keep your eyes on their website so you won't miss the event you were hoping for! Yes, that's what they call themselves. Ranging from professional dancing to just having fun in NY, Dance Sport is the place to go to; and best of all, it's for all ages! It's located right by the Empire State Building so you won't miss it when you're around. They offer Salsa, Argentine Tango, Mambo, Swing, Ballroom and Latin dancing lessons. They are open Monday-Sunday at Monday to Friday from 10am to 12am; Saturdays and Sundays from 10am to 7pm. An Excellent Place for all Your Moves! If you're only looking to learn new dance moves or perfect your dancing style, Manhattan Ballroom Society might be an excellent place for you in NY. They offer Ballroom Dance Lessons, Salsa, Latin Dance, Tango, Swing, Wedding, Hustle and Private dance classes. They also offer a Social Dance Party every Friday from 8:30pm to 11:00pm and schedule weekly dance lessons from Tuesday to Thursdays. A special event is hosted every month which is free for guests. Are You up for Some Dancing in NY? If yes, then be sure to not miss Dance Magic Ballroom while in town; either if you live here or coming for a stay. From Tango, Waltz, Foxtrot and Swing dancing, to Latin Rumba, Cha Cha and Samba; all of these could be learned here and much more. Each type of dance has an additional special event each week lasting for about an hour. Operating hours are Monday to Wednesday from 9:30 am to 10p m; Thursdays from 9:30 am to 9:30p m; Fridays from 9:30 am to 8:30 pm; Sundays from 9:30 am to 7 pm; and Saturdays closed. Tired of not Being at the Top of Your Excellence in Dancing? 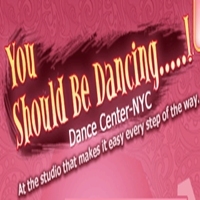 If yes, and you're living in NY or just staying for a while, be sure not to miss Stepping Out Studios as it brings the best in Ballroom Dance Lessons. If you're unsure about their expertise, join them up at a free introductory class every Friday at 8:30pm. Operating hours are Monday to Friday from 10am to 11pm; Saturdays from 10am to 6pm; and Sundays from 11am to 6pm.